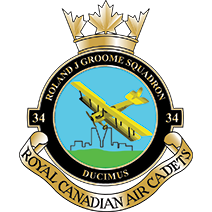 Here are some of the commonly asked questions about the cadet program in general and #34 Squadron specifically. If you don’t see your question here, please email [email protected] and we’ll be happy to answer any and all of your questions! Q: By becoming a cadet, am I joining or will I be expected to join the Canadian Forces or Reserves? A: Absolutely not! This is one of the most widely held misconceptions about the Cadet Program and it is not true in the slightest! The Cadet Youth Program is funded by the Canadian Government to develop outstanding citizens and leaders for the future and, while promoting an interest in the Canadian Forces is one of the goals of the program, you are by no means whatsoever expected to join the CF or the Reserves. Q: So what exactly do Cadets do? A: A lot! The cadet program offers a ton of activities to be a part of and skills to learn. While the Air branch of the program focuses on aviation (both the actual flying part and the engineering side of things), there are still loads of other activities to take part in; such as sports, band, survival exercises, instructing, public speaking, marksmanship, precision drill, camping, the list goes on and on! Check out our Training page for more information! Q: Is it possible to get my pilot’s licence through the Air Cadet Program? A: Yes! There are two types of free pilot scholarships offered through the air cadet program; Gliding (no, not hang gliding – we’re talking about soaring through the air in an aircraft without an engine!) and Powered (where you earn your private pilot’s licence, allowing you to fly single-engine airplanes non-commercially). Both are six-week long courses that take place over the summer time at Regional Gliding Schools around the country. You can start by getting your Glider Licence at 16, and then the next summer you can earn your Powered Licence! Once you have your licence; you’re encouraged to give back to the program by giving familiarization flights to other cadets and show them the freedom of flight! 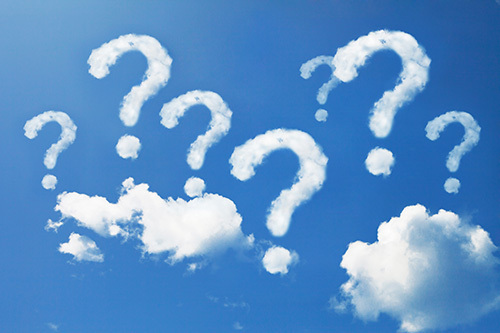 Q: Will I get a chance to develop my leadership and/or instructing skills? A: Absolutely! Giving youth that chance is one of the main goals of the program! There are many activities designed to develop leadership skills and effective instructing techniques. In fact; as you progress through the program, more and more opportunities become available to you to practice and develop your leadership and instructing skills through practical applications such as instructing and leading the junior cadets in your squadron, being a staff cadet at a CSTC (Cadet Summer Training Centre)! By the time you reach Level Four (approximately 3 & 1/2 years in the program), you’ll be teaching entire classes to junior cadets by yourself! It is one of the most rewarding experiences instructing the younger cadets and being able to help them understand new material. Q: What kind of opportunities does the program offer? A: Where to begin?! There are all sorts of amazing opportunities the cadet program provides; from earning your pilot’s wings to going on international exchanges to many different countries (Japan, Australia, & Turkey; to name but a few)! You have the opportunity to learn survival skills – how to survive on your own for weeks at a time in the bush! You will have the opportunity to lead and develop your leadership skills! You will have the opportunity to learn new instruments and be a part of a band! You will have the opportunity to go on expeditions and explore the world around you! You will also get one of the best opportunities of all; meeting amazing new people that you will be friends with for life!